The NOXM50 is famed for its high-quality all-glass optics. Before you think that’s nothing spectacular, let’s tell you why it’s so amazing. 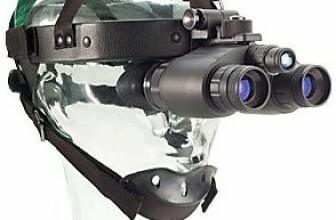 Way back when, night vision viewers needed to be super rugged to survive the rumble of military use, which is also why Gen 1 models used to be manufactured with plastic optics. But as time progressed, more and more civilians began using this technology for their own pleasure and they obviously had much fewer concerns about the viewer’s impact resistance than they did about the image clarity. This is where the NOXM50 comes in with its all-glass optics, and by no means is this flimsy, it’s still rugged and extremely durable, but it just gives you superior clarity over outdated plastic optics. What’s Wrong With Plastic Options? 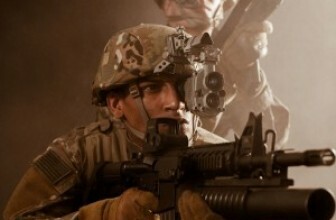 Well, plastic lenses suppress the light you need for clear night vision, whereas all-glass optic doesn’t. All-glass optics give you the best image clarity and quality by far. Technically speaking, there’s nothing WRONG with plastic optics, but the NOXM50 gives you great all-glass that can transform your world unlike anything else. There’s a pretty simple reason. Like we’ve mentioned, it’s all-glass optics AND provides you with the power of 5X magnification, magnifying the light up to 500 times! We also love the fact that the lens is adjustable to your eyesight, catering for individual needs. To bring you the best resolution and more accurate identification of smaller targets over greater distances, the 5X magnification of the NOXM50 really is a game changer. 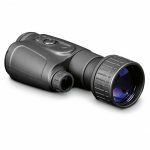 The image resolution you get from the NOXM50 Night Vision Monocular is 35 line-pairs per millimeter. Our human eyes can only resolve 5 to 10 line-pairs per millimeter, so the resolutions with this viewer are about as clear and crisp as you’re going to get from a night vision viewer. Utilizing a high-quality Generation 1 image intensifier tube, the NOXM50 Monocular has an added built-in IR illuminator, so you can use this bad boy in total darkness, which kind of sets it apart from all other monoculars. 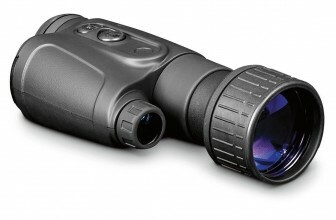 From all their products, the NOXM50 is one of Night Owl Optics’ most durable devices. The soft-touch rubberized finish adds to the durability factor and the fact that it has impact-resistant molded thermoplastic lens housing means it goes the extra mile in protecting the 50mm objective lens. There are also issues with the sale of this monocular (but this is nothing new when it comes to night vision devices), you’ll only be able to get your hands on this monocular if you reside within the borders of the US, and even then, there are still restrictions that apply. Then there seems to be an issue with the power drain when the unit is switched off which can be due to the fact that the charge is stored by internal capacitors. 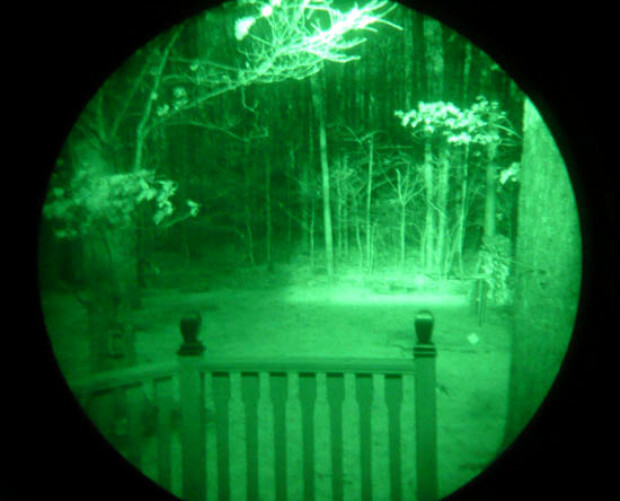 If you need excellent performance, and you don’t want to break the bank (so yes, you’re opting for Gen 1) then the Night Owl Optics NOXM50 Night Vision Monocular is an outstanding choice. 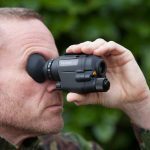 With the IR illuminator, intensifier tube, and the hand strap, this device is easy to operate and the optics deliver amazing night vision. If you need another company monocular then go to and check some best tactical products. If you don’t have an issue with relatively short range cover, a little battle with the lens focus and the lack of an eyecup, we’d happily recommend it as a great night vision device. The NOXM50 is a great high-mag device that delivers outstanding quality, crisp and clear imaging that brings you the very best in optics technology.